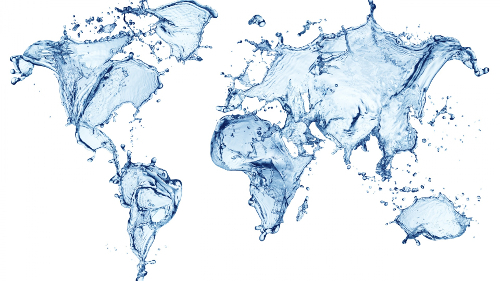 The pollution of water for human consumption is a matter of global importance. Arsenic (As) is a ubiquitous semi metallic element and it is present in the rocks, into the water, in the air and in animals and plants. Although it is not as abundant in percentage as other rare elements, arsenic is one of the most common and its average content into the rocks of the Earth’s crust has been estimated at 1.5 grams per ton of rock. Arsenic is a water contaminant that is currently widespread in many areas of the Earth. High arsenic concentrations, well above the limit imposed by the European Union (10 μg/l), have been detected in: the West Bengal region (India), the area around Fairbanks (Alaska), some areas of Taiwan and Mongolia, the Lagunera region (Mexico), the province of Antofagasta (Chile); the region of Obuasi (Ghana); the provinces of Cordoba and Catamarca (Argentina) (Turner, 1967; Sosic, 1973; Harrington et al., 1995; Sancha et al.,1994; Chen et al., 1995; Pearce, 1995). Particularly alarming is the situation in Bangladesh, where some sources show that the 27% of the groundwater is characterized by an arsenic concentration of 50 μg/l and the 46% by a concentration of more than 10 μg/l. It is estimated that in Bangladesh there are 11 million wells, serving a population of about 133 million people. Of these, roughly 35 million people drink arsenic contaminated water with concentrations exceeding 50 μg/l and 57 million water with arsenic concentrations above 10 μg/l. The highest arsenic contamination occurs in aquifers at a depth of 15-30 m. Also in certain European areas, arsenic presence is rather worrying, although this kind of contamination does not affect European aquifers to the same extent that occurs in the areas mentioned above. € 3.057 billions from the European Social Fund (ESF). The potential recipients of these funds are groups of municipalities that would implement environmental projects, including those about water treatment. Therefore, the Hungarian market can be considered as particularly relevant, especially since a European decree at the end of 2010 blocked the possibility of getting a waiver from the abovementioned arsenic concentration threshold value. The project aims at mass-production and sell of a new high-performance filter media for the removal of arsenic from drinking water, with the ability to be regenerated.